Scott Hutchison, 36, has not been seen since he left the Dakota Hotel in South Queensferry at 01:00 on Wednesday. The musician, originally from Selkirk in the Scottish Borders but currently based in Glasgow’s Dennistoun, is now believed to be in Edinburgh. His family reported him missing and police in the city are appealing for information on his whereabouts. Insp Graeme Dignan said: “We are keen to locate Scott as soon as possible to ensure he is safe and well and would urge anyone who can assist with our ongoing inquiries to come forward. CCTV shows Scott at the Dakota Hotel, where he visited before he disappeared. He is described as white, 6ft tall with a stocky build, dark hair and a thick beard. Frightened Rabbit was originally formed with Scott on vocals and guitar and brother Grant on drums. The lineup changed with the addition of Billy Kennedy, Andy Monaghan, Simon Liddell and former band member Gordon Skene, who left in 2014 after five years. They released their debut album Sing the Greys in 2006, and went on to release four more albums. Scott also released a solo record called Owl John. Scott and Grant had recently formed a new band called Mastersystem, joining forces with Justin and James Lockey from Editors and Minor Victories. Their debut album, Dance Music, was released last month. 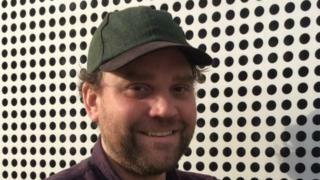 Scott had also hinted at a sixth Frightened Rabbit album being released before the end of the year, saying they had five or six songs that were coming together.